Pat Chagnon of the Troopers submitted this photo and caption. 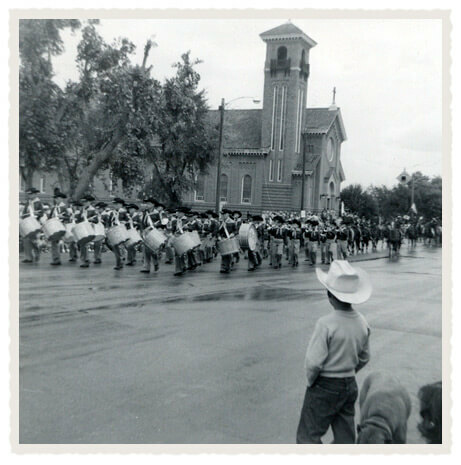 We thought we'd share the first photo of the Troopers in performance way back in 1958. Our first public performance as a corps was on June 27 in Riverton, Wyo. but we don't have any actual pictures of it, only newspaper articles. This photo is of our first parade, in Lander, Wyo. on July 4th. This is a very happy birthday for us!